First of all, you'll note there are no pictures of me holding up any fish. I uh... was busy playing captain and mate. Yeah, that's it. In any event, my cousin and her husband had a good time. First catch of the day. On a rubber jig no less. Bluefish! On a free-lined greenback. 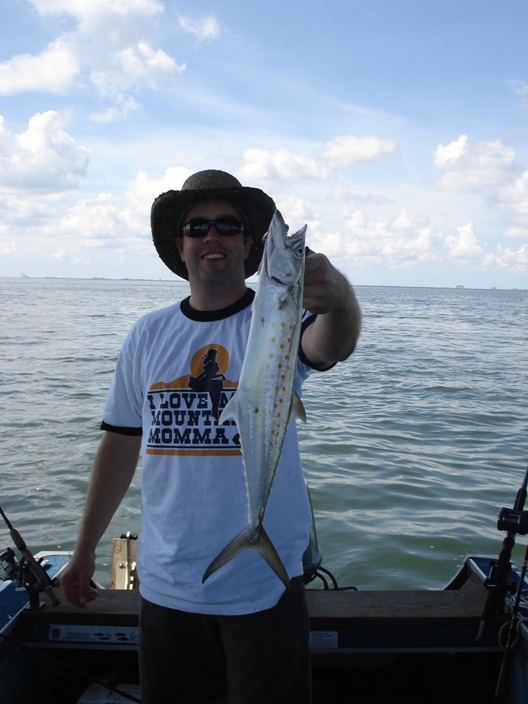 Spanish Mackerel! Also on a free-lined greenback. Anyhoo... we fished around the power-line tower at the north tip of the bay. 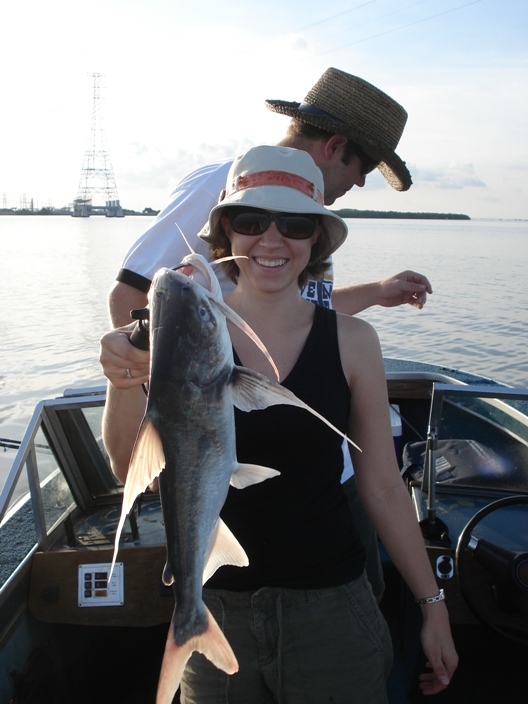 There is never much there except for catfish, but there is usually at least some action. After that, we moved down to the flats below the old power plant, and saw some big schools of mullet being chased by redfish. We didn't actually catch anything there, but we got a few bites. The redfish were kinda spooky, and I haven't gotten a pole or trolling motor yet for the flats. After watching dozens of stingrays cruising around the flats, we cruised ourselves down to the Courtney Campbell Causeway, and hung out under the bridge for a bit. It was the slack end of high tide when we got there, and there was no wind, so there were no currents to deal with. The greenbacks were abundant, and that's where the Macs and Blues were chomping away. 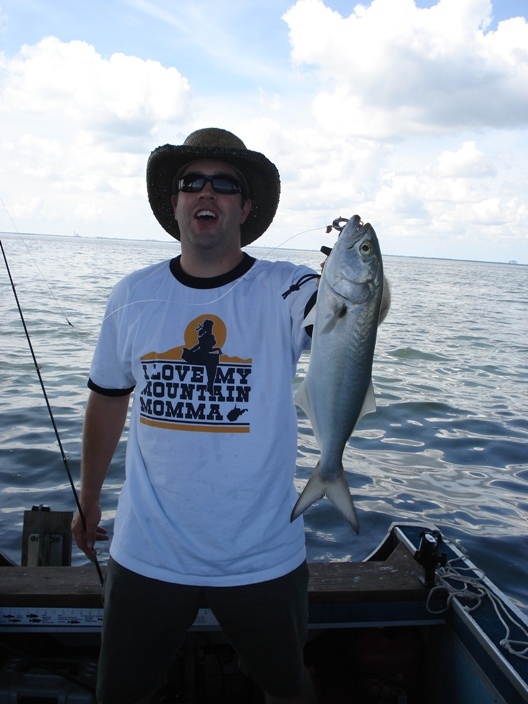 We saw one smaller Tarpon rolling after the herring, but he wasn't interested in our hooked ones. I'm not sure if he was just a local, or if there were more cruising around up there, but the schools of baitfish were extremely jumpy. We were only out for about 4 hours total, and by noon it was getting too hot to sit out on the water anyway. < "Darwin Got So Close"